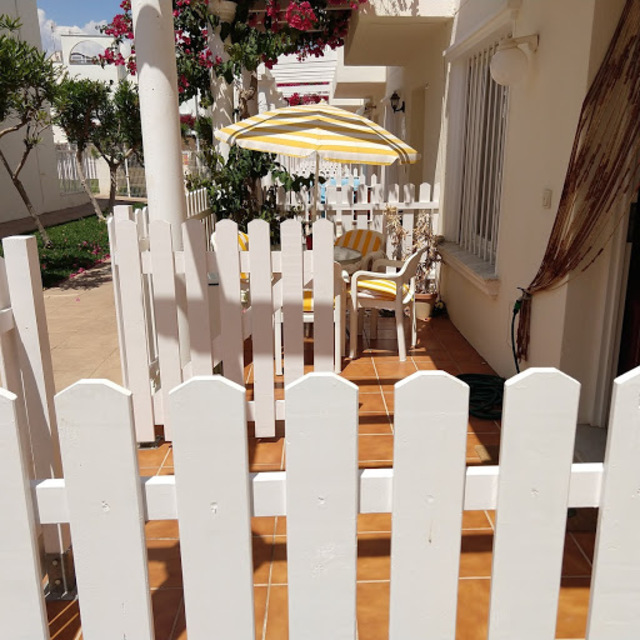 2 bed / 2 bath Townhouse with private garden and roof terrace as well as underground parking space in urbanization with communal pool and garden. This exceptional townhouse is located on a well maintained complex. It is close to both the village and beach alike. In the village you will find all that you require along with excellent links to the motorway for the airports and the rest of Spain. The property is built on a plot of 87.80 mts2 and has a built area on two levels of 90.89 mts2 and a garden measuring 37.02 mts2. It is in immaculate condition and has many improvements to the bathrooms, kitchen and property in general. There is a large living room, a separate kitchen with a store room plus downstairs shower room. Upstairs there is yet another bathroom and two large bedrooms. From the several terraces and solarium you can enjoy sun or shade throughout the day. In addition to all the above the property is being sold fully furnished to again an exceptionable standard. This property is both perfect for full time living or a holiday location. Beach locations as well as golf are on your doorstep.